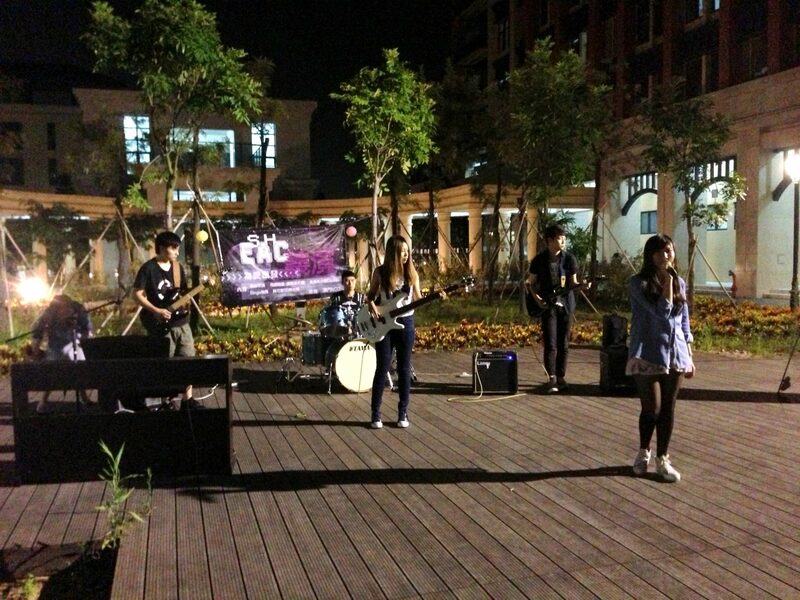 The College’s band delivered a vibrant opening performance. 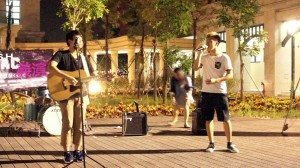 On Thursday 25th September, Stanley Ho East Asia College (SHEAC) House Association (HA) hosted a wonderful charity show in the open plaza between W11 and W13 on the campus. This event not only demonstrated the serious effort of both the performers and the HA leaders and members as the organizer, but also acquired other students and teachers’ encouragement and support. 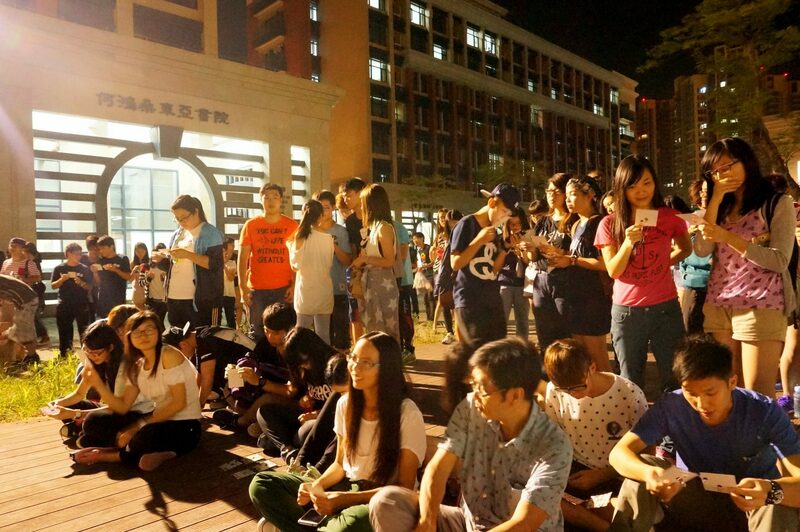 At 7:30pm, a large crowd already gathered in front of the College. 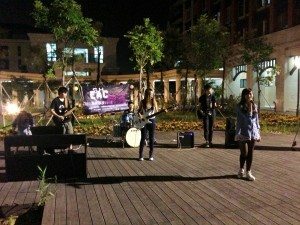 As the dusk came on, the long-awaited show began with a vibrant opening performance by the College’s band (Lai Yu-Ju, Tian Menghan, Andy Hou and Honey Chan). 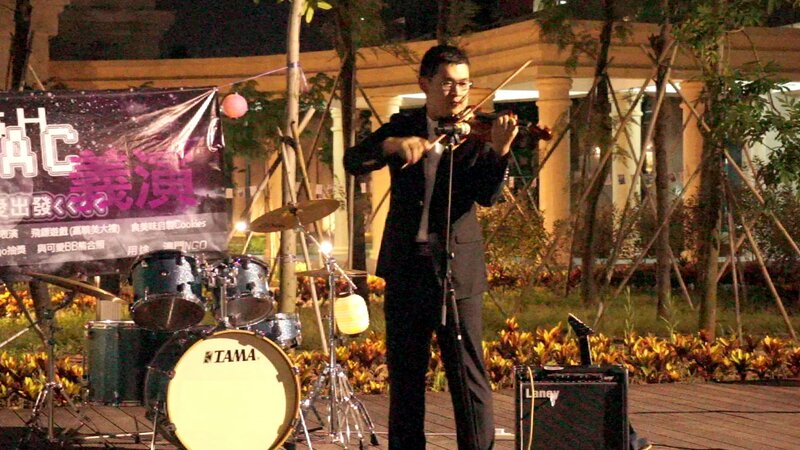 Liu Naibin played a violin solo “Csárdás Dance”. 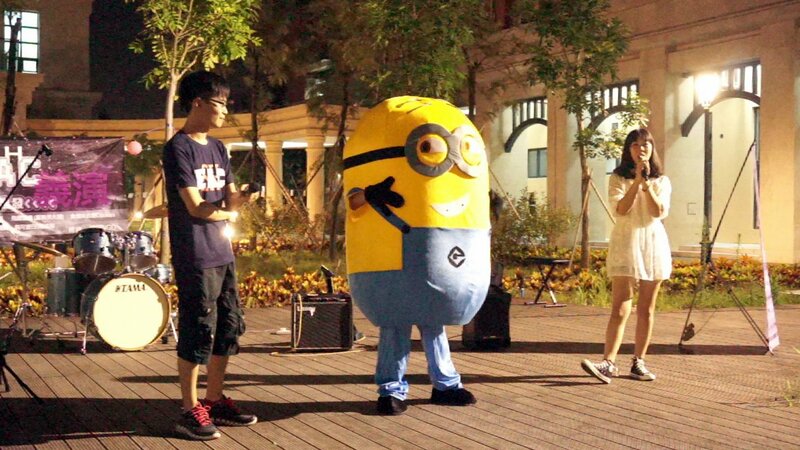 The hosts Esther Song and Wesley Lao gave the audience a big surprise by introducing a special guest of the event – a very cute man-sized Minion (costume worn by a student volunteer). 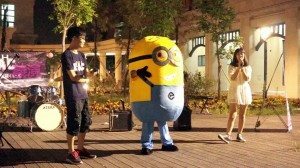 Everyone was very excited while seeing the Minion walking around. 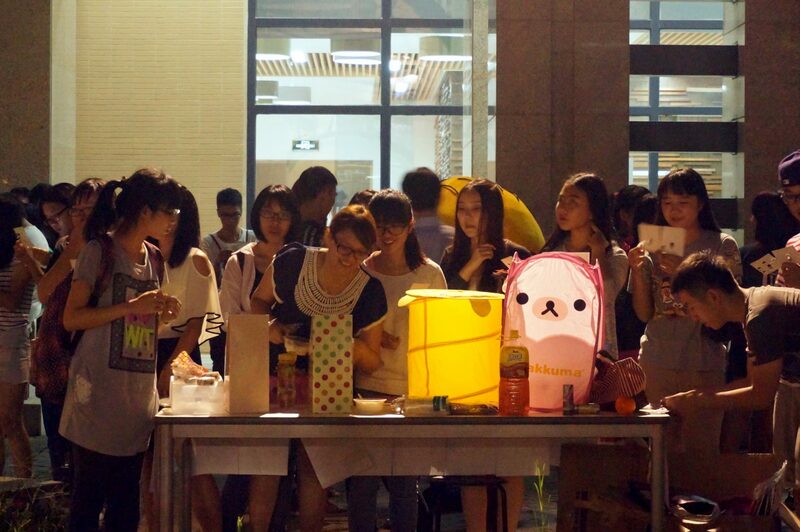 In addition to the performances, an array of commodities and “homemade” snacks were also up for sale at the venue. Mila Zhang played piano and sang “When You” (當你). 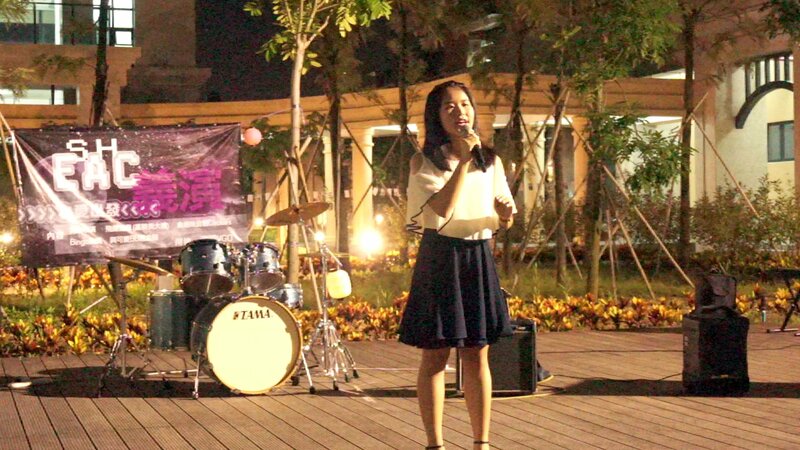 Sharon Wang also soloed “The Things You Don’t Know” (你不知道的事). Both showed very beautiful voices. 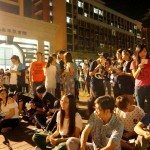 Meanwhile, Zhong Shenke performed a popping solo with “Show Girl”, Liu Naibin played a violin solo “Csárdás Dance”, and Stephanie Ng played a piano piece “The Truth That You Leave”. 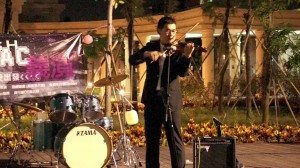 All expressed their love and passion for music. Sharon Wang sang “The Things You Don’t Know”. 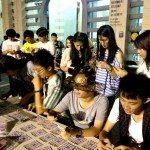 As a short break, more than a lottery, the Bingo games brought waves of laughter among the audience, adding some festive joy to the campus. 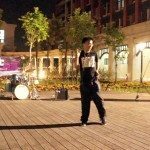 As the second half of the show began, Zhao Yuxin brought us an astonishing yo-yo show called “Twilight”, which really impressed the audience. It was followed by Sofia Zhang’s erhu solo “Mercedes-Benz in Prairie” and Janet Li’s violin solo “He’s a Pirate”. 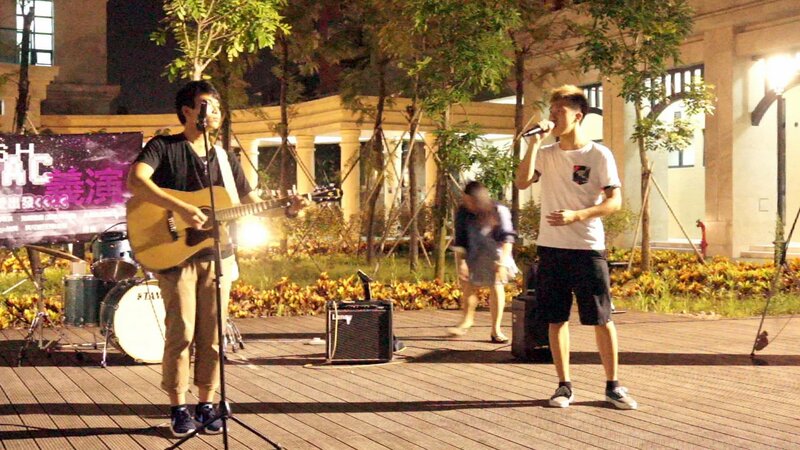 The team performance by Samuel Chang and Alan Vong of two beautiful songs “Endless Love” (新不了情) and “Youth Anthem” (青春頌) brought the charity show to a perfect end. 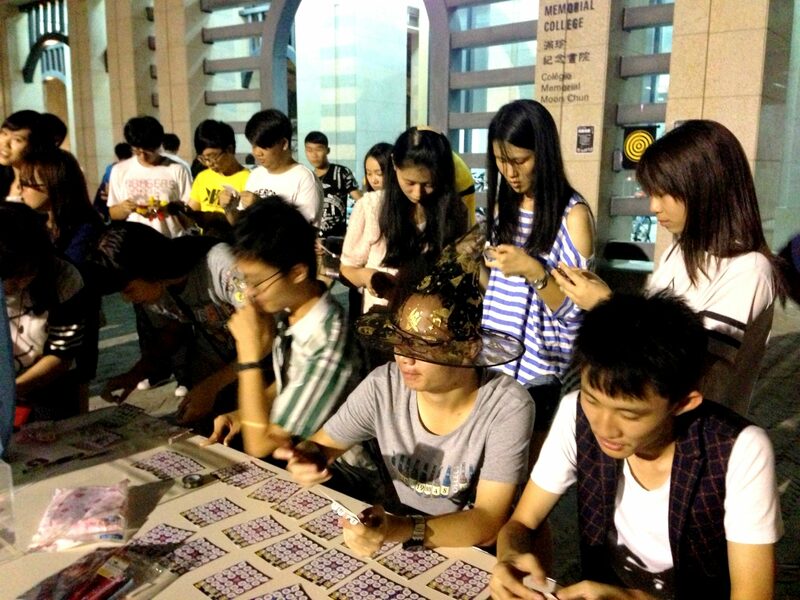 Students helped to sell bingo cards. It is true that we did not have first-class actors or lighting and audio technicians. 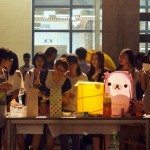 However, the performers prepared their parts seriously, organizers and helpers contributed quietly, and the students as audience showed enthusiastic support throughout the show. All these made almost every bit of this charity show flawless. 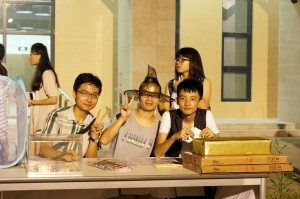 Although the event had finished, the hard work of the organizers and performers, and the caring heart of students have moved many of us in the College and beyond. It lets us understand that spending time and effort meaningfully can also make us feel very happy. 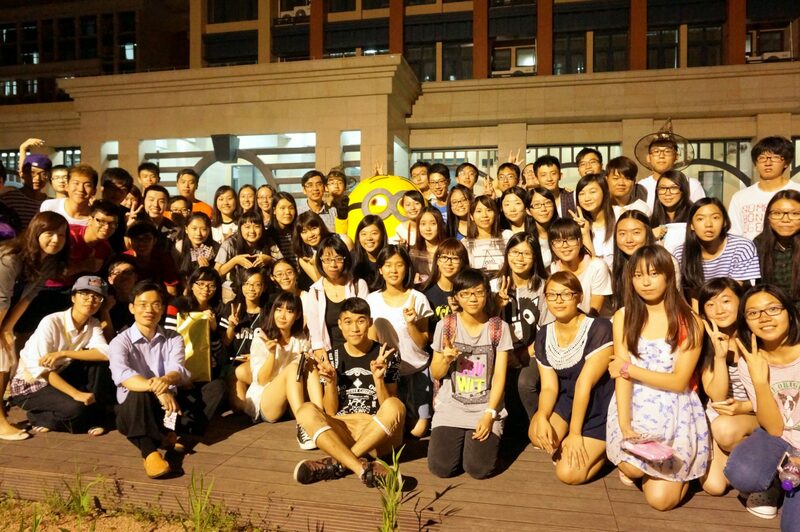 The Minion puppet was very popular at the charity show. 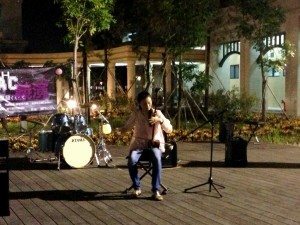 Sofia Zhang soloed an erhu piece. 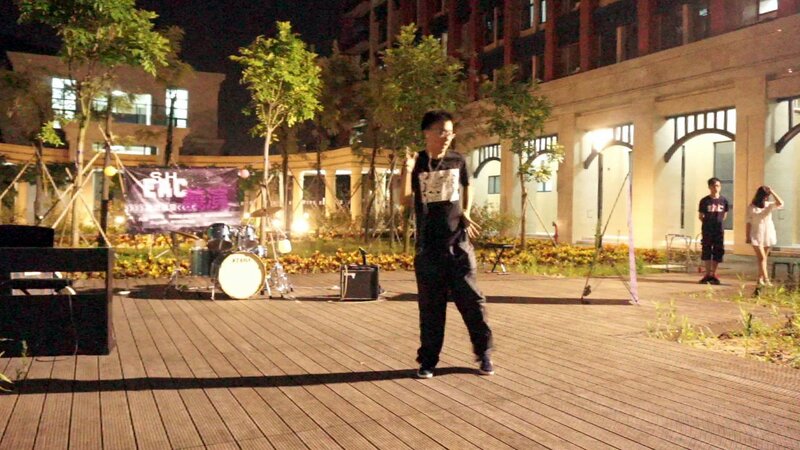 Samuel Chang and Alan Vong sang “Endless Love” and “Youth Anthem”.